From Sunday 27th May, websites in the UK domain must obtain “informed consent” from users before saving cookies onto a machine. The Information Commissioners Office (ICO) is to launch a tool for users to report sites which are still using cookies without permission. However, it is expected that a large majority of websites will not be ready to meet this deadline. The ICO has said it would not take immediate action over non-compliant sites, instead, it would offer guidance to the sites. Do you have unwanted cookies on your computer? 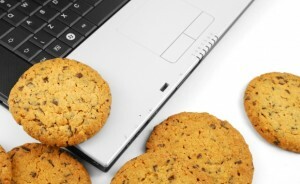 Guidelines set by the EU say that visitors must be told what cookies are going to be placed on their computer. This will mean a pop-up window will appear to seek consent. The owners of websites not following the new guidelines could face fines of up to £500,000, but the ICO has played down the threat of such serious action, saying it would take a soft approach to enforcement. “Up until now, if we received a complaint about your website we would point you in the direction of our guidance,” said Dave Evans, group manager for the ICO. The week before the deadline the British Government said that most of its sites would not comply with the new guidelines by the deadline. It said it was “working to achieve compliance at the earliest possible date”.